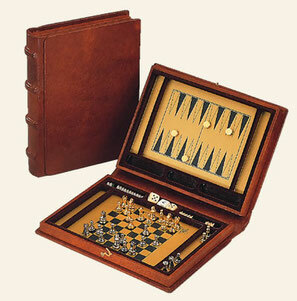 Contents: Rummy, canasta and skat and patience cards. 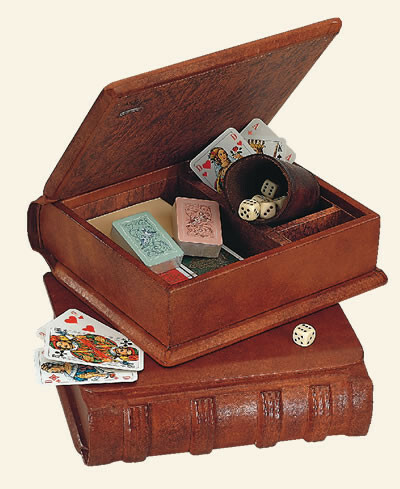 Leather dice-cup with 6 dice and notepaper. 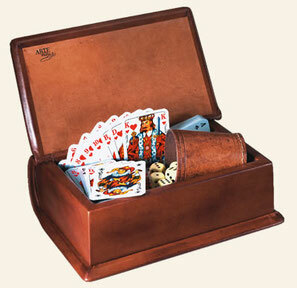 Contents: Rummy, canasta and skat cards, leather dice-cup with 6 dice and note-paper.